In another appellate ruling on a case involving significant delays by a bank in a residential foreclosure, the First District Court of Appeal has reversed a lower court’s decision that awarded first-priority lien rights to a condominium association in Destin, Fla. over those of the lender due to the bank’s dilatory tactics. U.S. Bank had originally filed its complaint for foreclosure in this case with the circuit court on July 15, 2007, but then it progressed very slowly with the litigation for the ensuing four years. 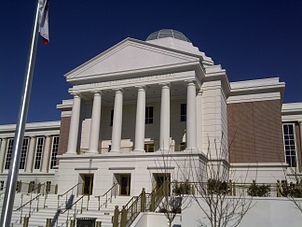 On September 1, 2011, upon U.S. Bank’s motion to dismiss the association’s counterclaim and upon an unrecorded hearing on that motion, the circuit court found that U.S. Bank had delayed the case and failed to act upon it, and as a “sanction” it ordered the lender to pay $2,500 to the association. The litigation proceeded and in early 2012 U.S. Bank filed its motion for summary judgment of foreclosure, which included allegations that its mortgage was superior to the association’s lien. The association responded with its own motion to dismiss and for sanctions against U.S. Bank for additional delay tactics, and it asked the court to issue a summary judgment on its counter claim for foreclosure for the past-due assessments and alleged that its lien was superior to any interest of U.S. Bank and the borrowers. Based upon the circuit court’s equitable powers, the court declared the association’s lien superior to U.S. Bank’s first mortgage. U.S. Bank appealed the order and the appellate court reversed, finding that the circuit court exceeded its authority. Even if the court correctly found that U.S. Bank or counsel had engaged in sanctionable delay tactics, the court had no need to resort to its equitable powers to create the sanction in this case. Appropriate remedies to address any willful and deliberate delay in the litigation are already established. See § 57.105(2), Fla. Stat. (award of attorney’s fees and costs caused by opposing party’s deliberate delays); Fla. R. Civ. P. 1.420 (dismissal of all or part of an action); 1.440 (setting action for trial); Fla. R. Jud. Admin. 2.545(e) (continuances should be few, good cause is required). Not only did the court unnecessarily invoke equitable powers to create a remedy for delay, the order declaring the Association’s lien superior to U.S. Bank’s lien as a sanction for such delay exceeded the court’s authority. ‘[C]ourts of equity have no power to overrule established law.’ . . . The court’s declaration of lien priority as a sanction impermissibly overlooks the common law and encroaches on the Legislature’s codification of well-established property rights. Our other community association attorneys and I will continue to monitor foreclosure cases and their impact on community associations. We write about important legal and administrative issues for Florida HOAs and condo associations in this blog on a regular basis, and we encourage association directors, members and managers to submit their email address in the subscription box at the top right of the blog in order to automatically receive all of our future articles.